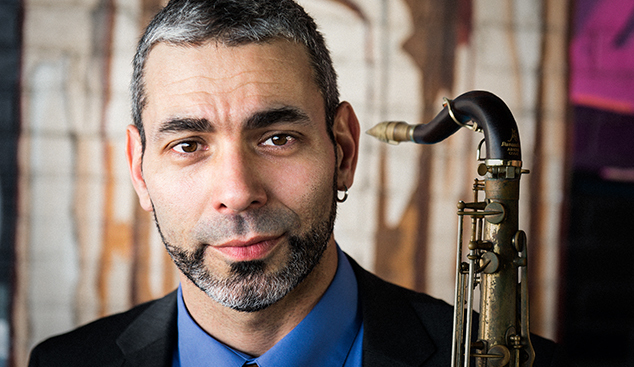 Today based in New York but hailing originally from Brazil’s Sao Paolo, tenor saxophonist and composer Felipe Salles joins UMO Helsinki Jazz Orchestra in early May. In UMO Helsinki’s lead the Brazilian will present his most recent – completed in autumn 2018 – and most ambitious musical project so far, The Lullaby Project and Other Works for Large Jazz Ensemble. Tailored here for the 18-piece orchestra, the composition marries classical influences with Brazilian and Latino rhythms. It consists of a five-part suite inspired by traditional Brazilian lullabies and of a three-part suite nodding to the Argentinian tango. Timbral and textural aspects play a significant role in the piece and traditional and modern elements shake hands and intertwine. Indeed, the composition is a study in Salles’s own cultural roots and it reflects on, among other things, his experiences as an expat in the United States. Salles has been active in the American jazz scene since 1995, and his companions in music include the likes of Randy Brecker and David Liebman. His compositions have been played by the Helsinki Philharmonic Orchestra and Metropole Orchestra alike. Holding the position of an Associate Professor of Jazz and African-American Music Studies at the University of Massachusetts since 2010, Salles won the Guggenheim Foundation Composition Fellowship in 2018.